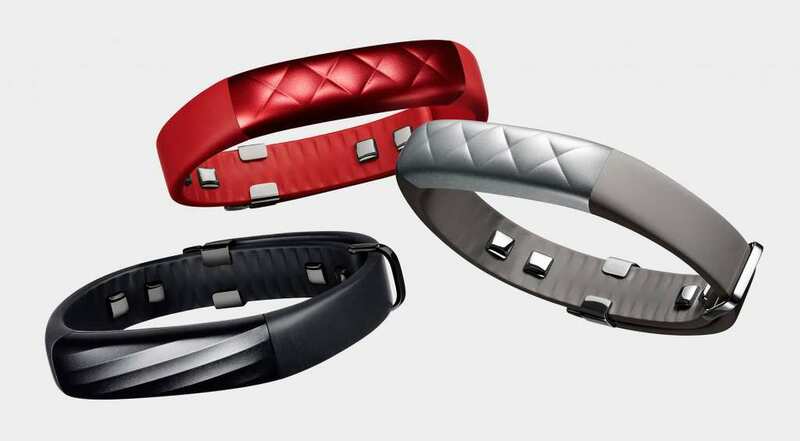 The Jawbone brand has made immense headway in the activity tracker market. It either stands as the competition or brings an unmatched original piece of tech to beat the odds. With such aplomb and finesse in design and features, the four Jawbones that we are going to take a look at have their ups and downs but deliver excellence all round. All prices are based on current Amazon figures. ‘Up’ is in reference to Jawbone’s unique and signature software, integrated into all their brands. Tracking Factors Quality of sleep and number of hours slept, steps taken, calories burned, workouts. First class fitness monitoring capability with entry-level price ranges? They said it was impossible until the Jawbone UP Move came along. For something that is simple to look at (think standard old pedometer) and not as stylish as its siblings in the UP range, this tracker is rather cute and packs an incredible number of features for its size. While it is a little water resistant, swimming and full submersion is not recommended. Its convenient watch-like design and set of highly interactive options make it a bonding-buddy more than a piece of tracking tech on the wrist. The two biggest tracking features it performs is sleep and steps taken. With the vibration motor taken out of this model, it cannot track power naps only full-fledged sleep patterns. The price reduction and battery life increase even happened because some features were removed. This includes the silent alarm. Yves Behar’s design genius has been applied even to this amazing little wonder among trackers. The color combos and central floral touch make it quite an attractive band to wear anywhere. It has a highly secure belt clip, meaning you need never worry about it coming loose let alone falling off. The move out of the belt clip and into the wriststrap can be a challenge and initially so can learning to thread the band through the hole and use the clasp to cinch it. The Jawbone UP app, while at times a bit glitchy, has exquisite Bluetooth 4.0 connectivity. 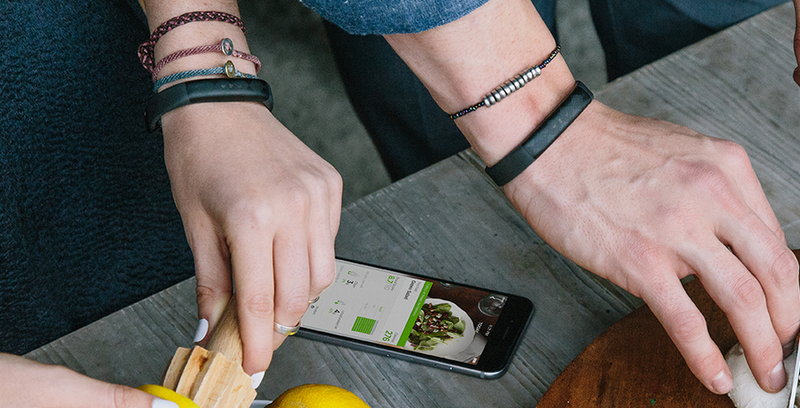 Both Android and iOS devices sync with the Jawbone UP Move. Several different kinds of metrics, data displays, and user options are open for use on the Jawbone app for this tracker. Companion apps are also welcome: Withings, RunKeeper, IFTTT, MyFitnessPal, and Strava. Flashing LED lights up front indicate the tracker entering sleep mode. Using the tiniest physical data it can tell the difference between you sleeping lightly, deeply, or not at all. The app even offers suggestions on sleep improvement based on several factual data.Requiring a charge-up only once every 14 days, the Jawbone Up Move is showing that while it may be small it packs a tall punch of perfection. Between its exquisite design and the textured elements it is tricky to understand how a tracker this good looking can perform so well. The clasp can be a bother and needs some practice. You have three excellent modes: daily activity mode (calories burned, steps taken, bursts of activity), sleep mode (quality and duration of slumber), and stopwatch mode (needs manual turning on before, say, heading out for a run). The sleep alarm is quite intuitive in that it wakes you up when it notices your sleep pattern getting lighter. This ensures you are bright and fresh without oversleeping and that your body has received what slumber it needs. 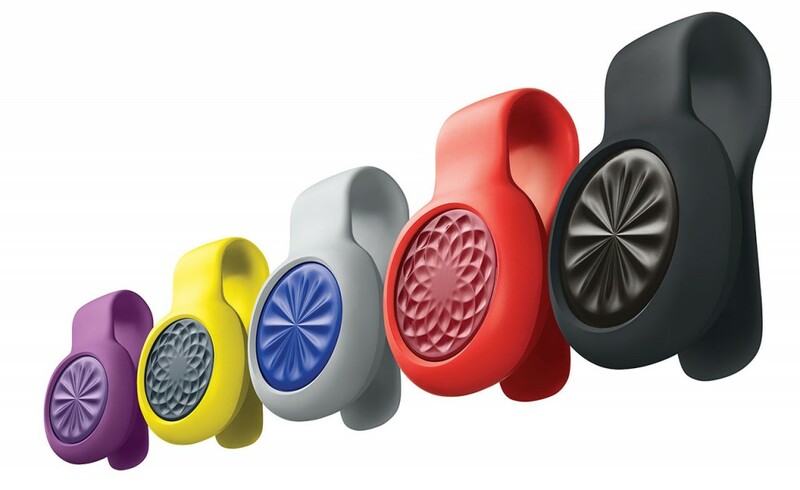 While the Jawbone UP2 is not waterproof (no submersions, mind you), it is splash-proof (showers, dishwashing, etc.). The only real drawback is that it lacks heart rate monitoring, which is an important factor when you plan to track overall health and fitness. Step-tracking makes use of an accelerometer that is not spot-on perfect but precise enough where activity tracking is concerned. All day tracking, from how many calories you burned to overall activity, are monitored, including exercises like Zumba, hiking, aerobics, etc. Use the stopwatch feature to record total active minutes, otherwise the Jawbone UP2 seems to come up short. With the stopwatch on you get the whole data metric, but inconveniently so because you need to engage the app first. The session stops when you stop the exercise in question (when you sit down to take a break, for instance). The all-new Jawbone UP app is excellent thanks to the manufacturer’s affiliation with Fullpower Technologies. It is accurate, innovative, and user friendly. A magnetic clip-on USB charger cable adds to the appeal. Battery life is an amazing seven days between charges. 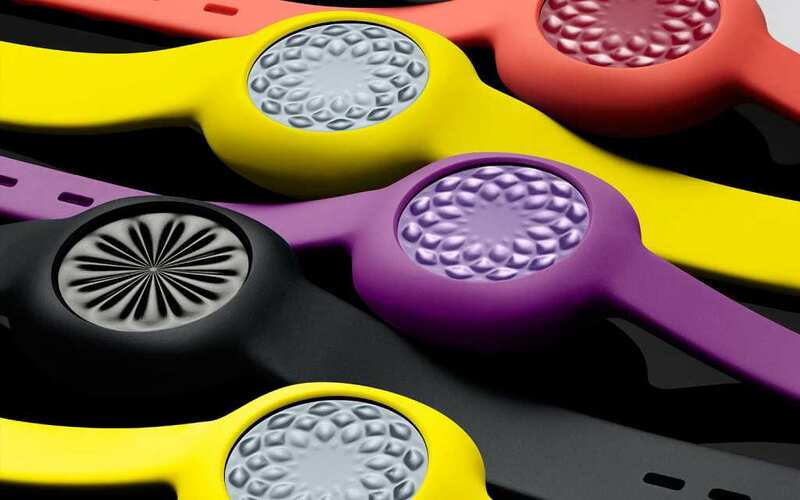 It looks more like a piece of jewelry than a high-tech activity tracker; this is quite the balance to pull off. The anodized aluminium framework is slim and durable; kudos to Swiss designer Yves Béhar. The textured rubber hypoallergenic TPU rubber strap means no skin irritation, but you need to cinch this tracker tight to make the most of its accuracy. The clasp can be a bit fiddly but with practice you will get it right. It can also be a bit loose, adding to the inconvenience. 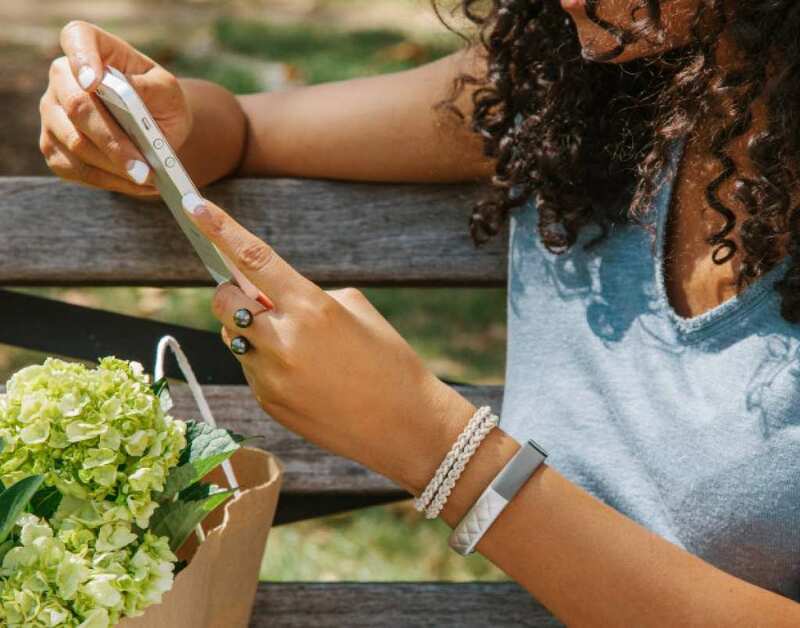 While incoming email and text alerts are not available, like with other brands in this range, the Jawbone UP3’s multi-sensor platform (on the band’s inside) is quite advanced (skin and ambient temperature sensors, innovative new design for the tri-axis accelerometer, and bioimpedance sensors). The square nodes can dig into your skin a bit, though, to accomplish the above but not in the painful sense; discomfort, a little bit, yes. The resting heart rate function is the Jawbone UP3’s key bpm (beats per minute) metric but the continuous version would have been more useful to health monitoring. The resting heart rate tracking is still good, with spikes indicating upcoming illness alerts that you can use to prevent the problem. You get only one activity reading per day, meaning you cannot choose when to see a reading. Even though Jawbone took a trip without inviting Fullpower and its MotionX technology, the step tracking function in the Jawbone UP3 is still pretty good. An algorithm and motion sensor combo achieves this due to lack of GPS. The Jawbone UP app tracks a plethora of sporting acivities: Zumba, tennis, hiking, cross-training, running, even dancing. They are all step-based, if you have not noticed. Sports that are non-step based need you to log the activity manually or simply resort to the use of the stopwatch for an accurate record. The Jawbone Jawbone UP3 uses your basal metabolic rate (BMR) to calculate calories burned based on steps taken; it also factors in height, weight, age, and activity levels. From Smart Coach tips in the app to an overall keen design and enhanced functionality, the Jawbone UP3’s advantages more than compensate for its shortcomings. Tracking Factors Activity, food and nutrient intake, steps taken, quality and duration of sleep. The Anodized aluminum design of the Jawbone UP4 makes it quite durable and attractive. The Medical-grade hypoallergenic TPU rubber strap does away with any skin irritation problems. While it is not water proof it is indeed splash proof, meaning showers and dishwashing times are not an issue as long as there is no full immersion of the tracker in water. Battery life is quite stunning, a whopping 7 days between charging. This is one of the most convenient features on this tracker. Using its tri-axis accelerometer technology to register steps taken, Bluetooth 4.0 BLE connectivity to iOS and Android devices, and its ability to track both skin and ambient temperatures to help with health monitoring, the UP4 is an upgrade in so many ways to its competitors. Its Bio-Impedance options include: Galvanic Skin Response (GSR), resting heart rate (continuous heart rate is better for overall health monitoring but this option does have its benefits), and breathing patterns. The LED notifications are nice: orange for activity, blue for sleep, and white for general notifications. It can even make payments wirelessly to the affiliated store. The Jawbone line of fitness trackers may have a few things missing compared to what the competition brings to the table but where design excellence, multi-functionality, and accuracy are concerned this brand is one of the big boys. The Jawbone UP series of trackers does indeed highlight the phrase ‘big things come in small packages’.